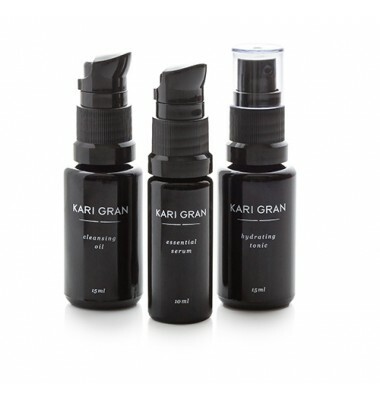 Anyway, I think I’ve found something that helps reconcile my two opposing feelings about skincare: Kari Gran Cleansing Oil. First, it’s a once-a-day process. I do it at night and it’s amazing for taking the day off my face, no matter what I’ve been up to and what kind of makeup I’ve had on. Yay! Second, the process is really easy and such a pleasure (some have called it a “ritual” and I totally get that.) You massage the cleansing oil into your skin and steam it off with a washcloth. It’s a mini spa treatment. As a new mom, this little luxury has made me feel like a queen. Side note: I can actually cleanse my face while wearing my baby (in a Solly Baby wrap, FYI) because there’s no splashing water. Score! Third, the products work really well for me. Now, my face is just … normal. No dry patches/less mini zits that pop up. And even though it’s only been a few weeks, I see plump, radiant, even toned skin. Ahh…mazing. Fourth, the products are as green and clean as you’d ever want, plus they’re made in the USA. I was not expecting to fall as hard in love with this product as I have. I feel like this cleanser fully cleanses my skin but in a gentle way. It doesn’t leave it feeling stripped or tight, but it’s definitely sparkling clean. For a long time I chased cleansers with special properties – “for acne-prone skin” “for sensitive skin” “for radiant skin” “for combination skin” – but when one would dry my skin out or leave it feeling less-than-clean, I’d have to pile on other products. What I truly love when it comes to skincare is something simple, gentle and effective. I think most people would call my skin normal-to-combination. But what does that really mean? How do you find out your skin type? Mine can change depending on the season and my hormones. I’ll have to report back on whether or not this works in different seasons but currently in the New England Fall/Winter (read: dry and cold) it’s been incredible. The cleansing oil and toner/serum work perfectly together. I think I’m most enamored with the cleansing oil, though, and have already repurchased. I’ve paired the cleansing oil with other face moisturizers and it seems to work well but I recommend grabbing the starter kit* ($35) so you can try the products together as Kari Gran intends. Do yourself a favor – pick up the STARTER KIT and get to work. If you’ve never used oil on your face, this might be the perfect introduction. They call this the “little black dress” of skincare and I totally agree. It’s a necessary item in your skincare closet. For more ingredient details, check out this post by Organic Beauty Talk. 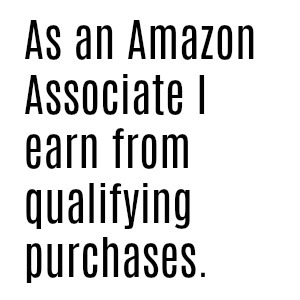 *Indicates affiliate link or gratis product/service sample. I occasionally receive product samples to test and review. However, I will never post about anything on this blog that I don’t truly love and recommend. Have you tried cleansing oil before?